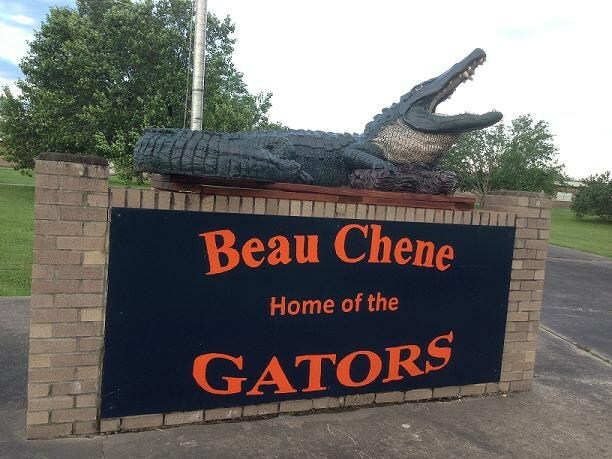 Beau Chêne High School (BCHS) is a rural Louisiana high school located in the parish of St. Landry. BCHS is located between the towns of Grand Coteau and Arnaudville, Louisiana. We are about a 20 minute drive from Lafayette, Louisiana with a student population of approx. 850-900. Dear alma mater, Beau Chêne High. Stand together, Beau Chêne Gators; we all cheer for you. Fight on to victory, fame, and glory for the orange and blue. With pride and honor win it all for Beau Chêne High.